The theme for 2019, ‘Bridging the Divide: Confronting Hate’ seeks to inspire people to challenge those who wish to divide communities, celebrate those who build bridges between communities and change attitudes and behaviors in others to go out and build bridges of their own. 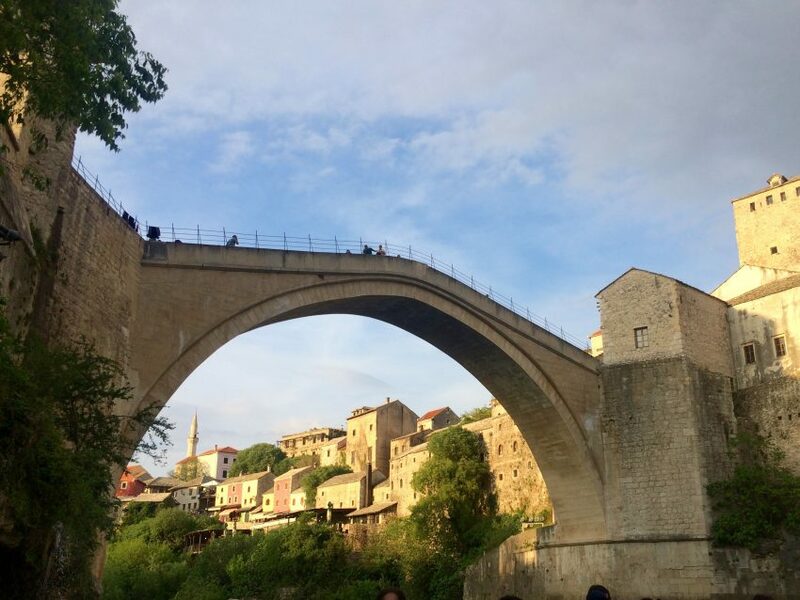 ‘Bridging the Divide: Confronting Hate’ is inspired by the famous Stari Most Bridge in Mostar—a rebuilt 16th century Ottoman bridge that stood for over 400 years before being destroyed during the genocide and ethnic ‘cleansing’ and subsequently reconstructed. Once renowned as being one of the most integrated parts of Bosnia prior to the war, communities in Mostar are now separated by religion, with Muslim Bosniaks living in the East of the city and Christian Croats living in the West. Paradoxically, the border that now separates these two communities is what should be a symbol of unity – the bridge. 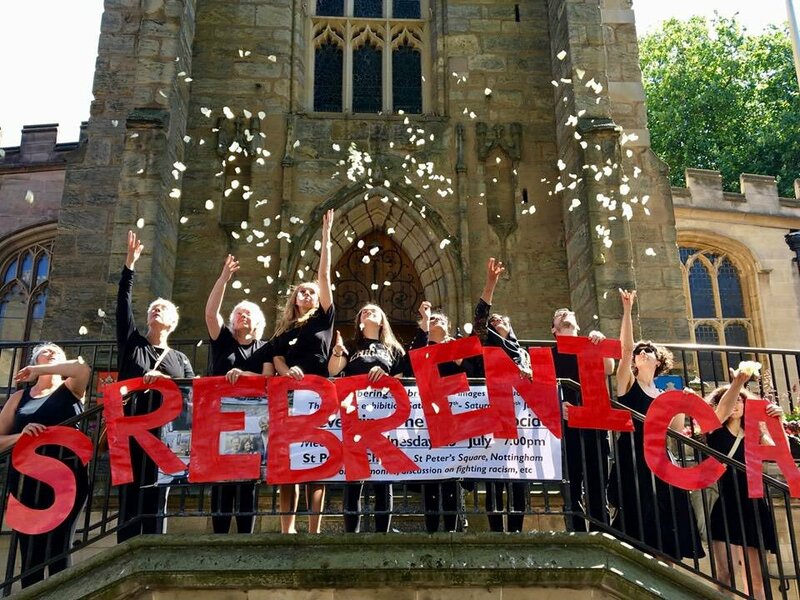 Remembering Srebrenica’s theme this year seeks to show that bridging divides takes more than bricks and mortar; it takes the will to confront hate in ourselves, our communities and our society. The conflict that tore apart communities across Bosnia was marked by dangerous rhetoric that tried to create division and promote distrust between communities. Far from being confined to the past, this language of division is familiar today to people across the world. The global rise of those promoting hate has been accompanied by divisive political rhetoric that has characterised asylum seekers, Muslims, Jews and many other communities as ‘the other’ once again. We have chosen the theme of ‘Bridging the Divide: Confronting Hate’ because it has never been so important for people to be empowered to confront hatred in their communities and to build bridges that help create a stronger, better and more cohesive society. This theme celebrates the extraordinary courage of people in Bosnia-Herzegovina who stood for humanity during the war, and have also spent the last 24 years confronting hatred and genocide denial, as well as pursuing justice and reconciliation in order to bridge the divide. People like the President of the Jewish community in Bosnia, Jakob Finci, who during the war brought humanitarian aid to all communities living in Sarajevo. He has since dedicated himself to bridging the divide by reconciling religions in Bosnia through the founding of the Inter-religious Council of Bosnia-Herzegovina. We will celebrate truly inspirational figures such as the late Hatidža Mehmedović, who did not promote hatred or revenge against the Bosnian Serbs who murdered her husband and two sons in the Srebrenica genocide. Instead she chose to campaign for justice to help build bridges. We hope to be able to use the lessons from Srebrenica to inspire individuals and communities to forge relationships with people from different backgrounds to build bridges of their own and to empower them to challenge hate. We hope that this year, through understanding the past, we can work to build a better future. We need champions against hatred and intolerance more than ever. Please help us grow our community of champions this year by bringing people together through acts of commemoration in Srebrenica memorial week. We have a whole host of resources here available to help you organise in your community. Please do let us know what activities you are planning – we can support you by publicising your event and we want to show the fantastic impact you are making in your communities! Survivors of Srebrenica and throughout Bosnia are unanimous in their message – we must educate young people about what happened in Srebrenica. Teachers are unique champions for the lessons from Srebrenica and in empowering young people to speak out against hatred and intolerance. Last year, through our Future Leaders in Schools Programme, 12 pupils from 4 schools educated 3,600 young people about Srebrenica. We support educators in many ways – through our PSHE resource packs, assemblies and workshops, teacher training days, direct delivery of workshops in schools and partnering to develop tailored programmes. Please visit our Resources page. If we want better, safer and stronger communities here in the UK, we must build them. 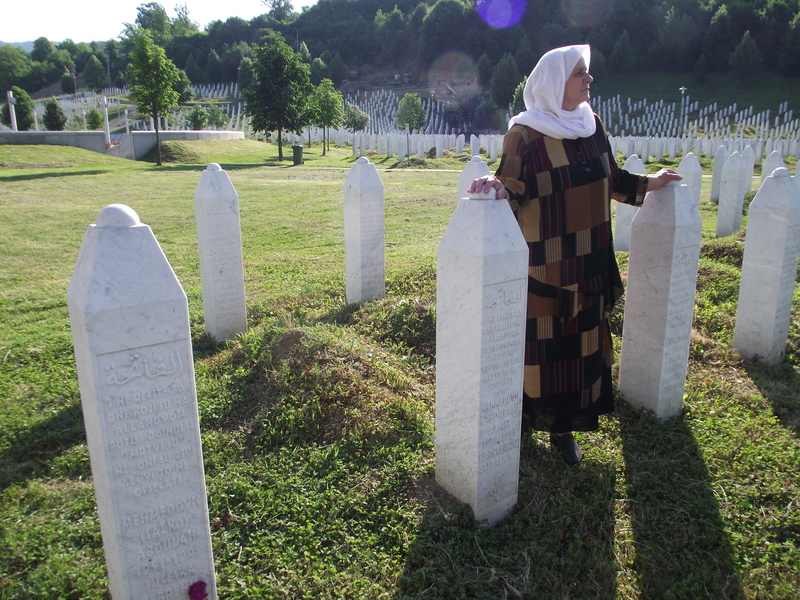 Remembering Srebrenica Community Champions run a wide variety of social action projects in their communities, co-ordinated by our Regional & Country Boards. These range from hate crime awareness projects, to tackling violence against women and girls, to interfaith spaces for dialogue. For inspiring case examples, see here. If you have an idea for a project, please contact us at info@srebrenica.org.uk and we can put you in touch with your local Regional or Country Board. We may also be able to support you with resources such as workshops and presentations that could be used as part of your project. Thank you for helping us to honour and remember the victims and survivors.